FlipKart, one of the major E-Commerce players in the Indian marketplace, is in news recently for several reasons. Be it the competitive challenge it have to face due to launch of Amazon’s India marketplace or closure of Flipkart’s MP3 downloading store – flyte. As they have recently backed up by a remarkably large amount of investment, they are all geared up to woo the customers of India, one of the largest E-Commerce zone around the world. For July 2013 they have raised their commission rates for the affiliate (for majority of the products they were upto 10% of product price). As affiliate play a vital role in drawing quality traffic to any E-commerce website, they took this chance. And it seems they found success with the same. Because, they are not only retaining the higher commission rates for the affiliates for the month of August 2013 but raised the top limit to upto 15%!! 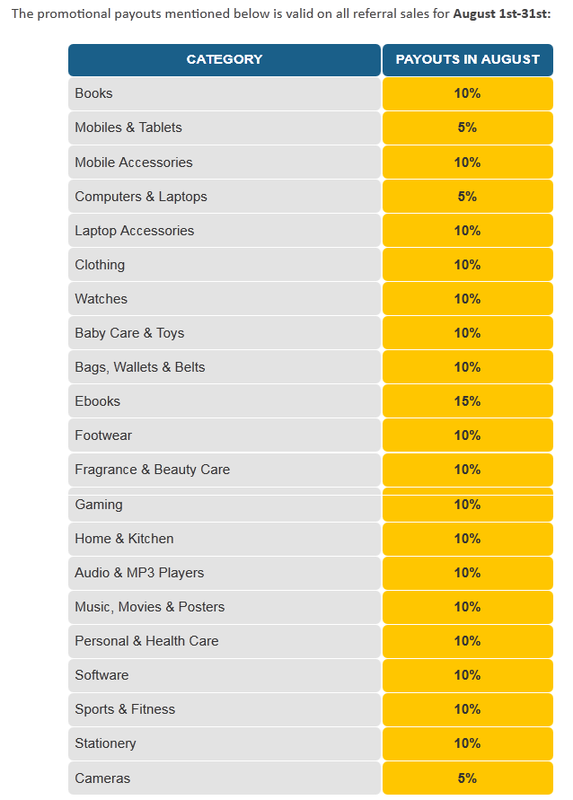 So, the webmasters who use affiliate marketing, may like to consider Flipkart.